Over the last few weeks we have been busy sourcing new avenues for Irish breweries in the global market. A few samples later and Honest Brew liked what they tasted. 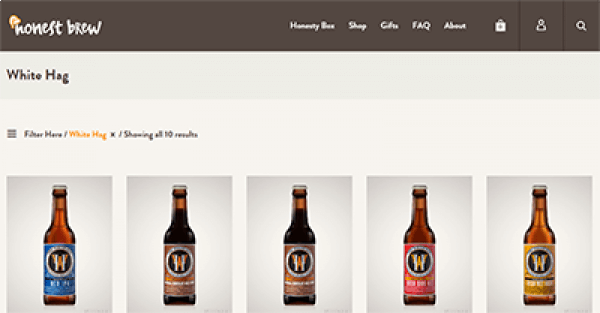 Honest Brew is an on-line craft beer shop, showcasing craft beers from all around the globe and delivering them straight to your doorstep in the UK. Pick up to 24 bottles of beer of your own choice, or for the more adventurous type, you can choose an Honesty Box, with 12 different craft beers each month based on your own flavour profile. One of the breweries in particular that they sell, is our very own White Hag Brewery from County Sligo, where you can try a mixed case of 12 craft beers hand-picked by the Honest Brew team. If you would like to find out more, check out the Honest Brew website and place your order today!